The famous old St Kilda Pavilion, which was built in 1904. Returning to her roots, Jocelyn Pride takes you into the heart of St Kilda, renowned for its bohemian lifestyle. 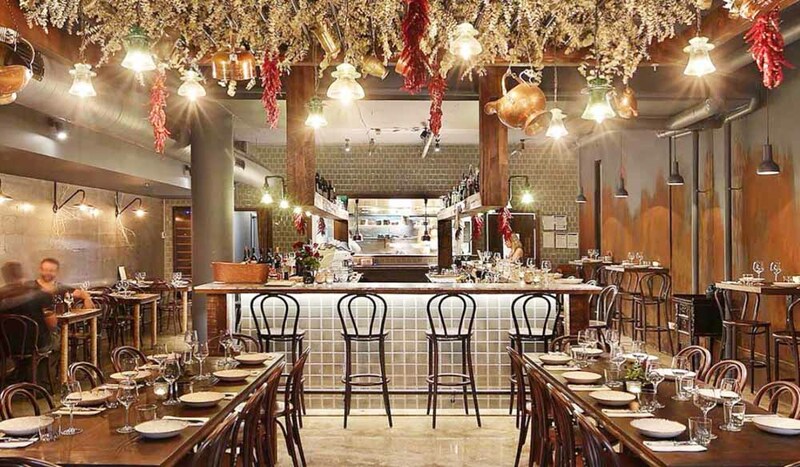 Oozing charm, it’s the perfect spot for a weekend on Melbourne’s fringe. As the locals say: ‘If you think you’ve seen everything, you haven’t been to St Kilda’. For more than 170 years through ups and downs, surges and resurgences the ‘grand dame’ of Melbourne is as sassy as ever. It’s the type of place where everyone comes and anything goes. From backpackers to money baggers, artists to artistes, famous to the infamous, it’s all here in a bubbling pot of culture and creativity. Grand Victorian mansions juxtapose with hole-in-the-wall apartments, tree-lined boulevards with narrow cobbled alleyways set against the lapping waters of Port Phillip Bay less than seven kilometres from the CBD. St Kilda is named after the British ship, the Lady of St Kilda, which historians believe was named in honour of the other St Kilda – an archipelago way off the coast of Scotland. Transformed from a cargo ship into a cruiser, the ship was anchored in Port Phillip Bay in 1841 ready to be sold. JB Were, who had an interest in buying the vessel, described the anchor point as a ‘place for a picnic’, and the name St Kilda stuck. From small beginnings, as building allotments were released, and the original sandy track from Melbourne was transformed into a railway line, St Kilda boomed. By the turn of the 20th century it was considered one of the fashionable places to be, but by 1932 the Depression hit hard and with it came prostitution and crime. 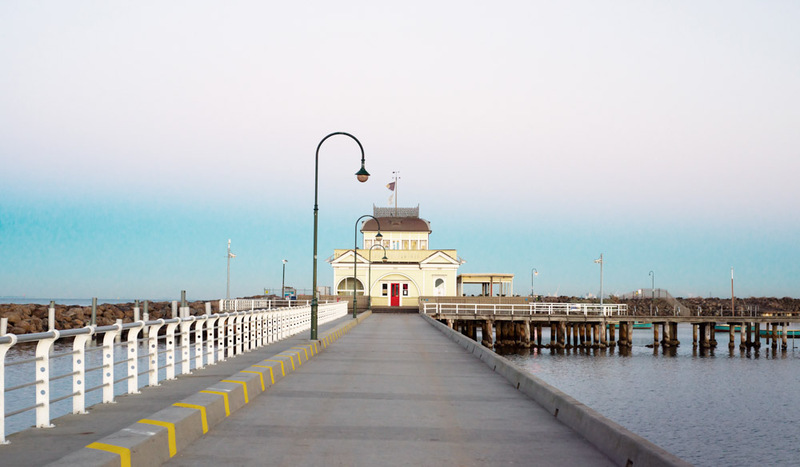 After World War II, St Kilda was described in the 1946 Australian Blue Book as ‘the Coney Island of Australia, a playground for both day and night for Melbourne’s citizens and visitors’. Too true. 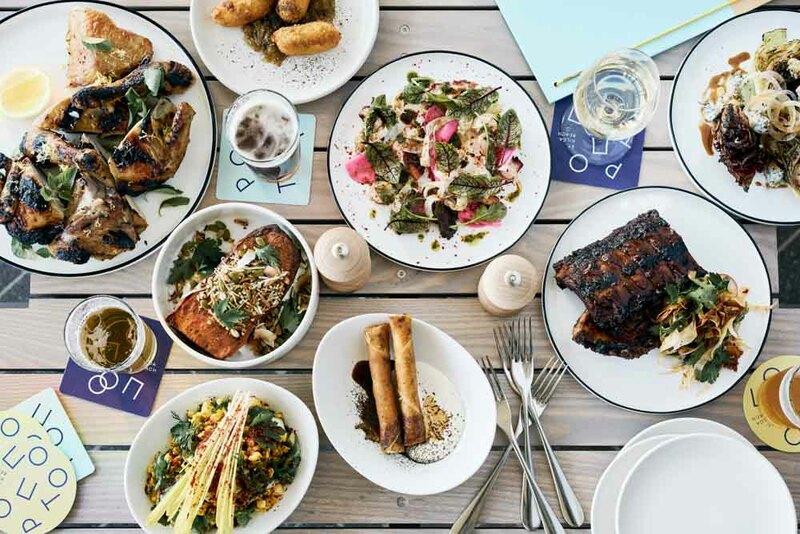 The only problem is, it’s nigh impossible to squeeze it all into a weekend, so here’s a few not-to-be-missed local haunts to get you started. 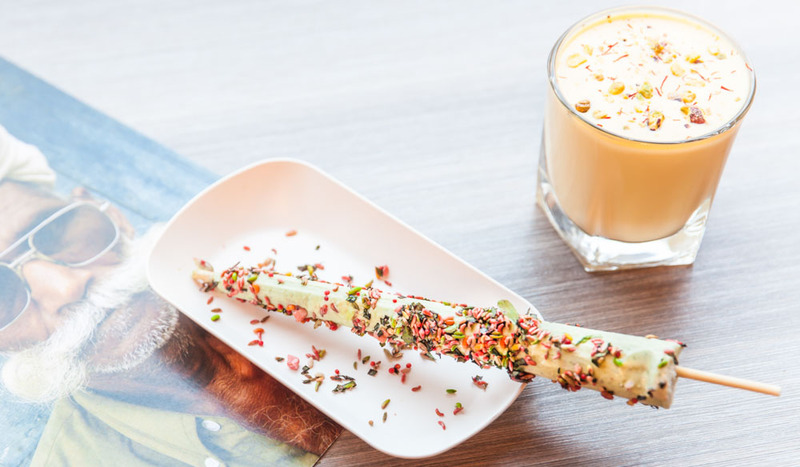 Babu Ji might be a pint-sized cafe, but it more than earns its place within St Kilda’s most gracious building: The George. Simple and informal it’s like pulling up a chair in a friend’s dining room. Each curry is made from scratch using herbs that Mani grows and the food is presented as an art form. “People eat with their eyes,” says Mani. Choose dishes from the ‘street food’ or ‘pot menu’ with a daily chef’s set menu featuring local produce. Both licensed (great craft beefs) and BYO, it’s only open for dinner and you will probably need to book. 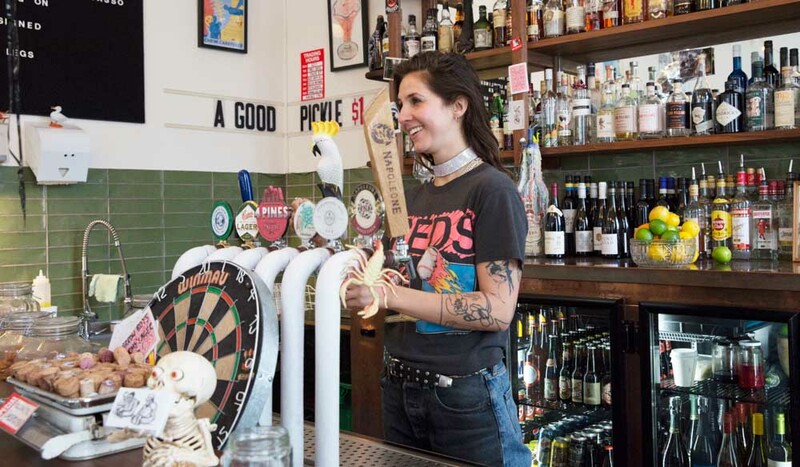 “I didn’t have a plan, just a vibe,” says Jules Pleadin, owner of the unforgettably named Misery Guts bar. “Locals were crying out for somewhere to hang.” Hang they do and miserable they are not. Full of curios (“I ran out of space in my home”), such as old cinema chairs bearing the painted slogan ‘Misery loves company’, a piano at the ready for tinkling, and cosy lounges around an open fire, this former bank (complete with vault) hums with a mellow atmosphere. The cocktails are classic, Aussie beers on tap and the wine list bright and breezy. Seek and you will find it at Scout House. Scouring vintage goods from all corners of the globe, local resident Orlando Mesiti brings an eclectic collection of quirky homewares and furniture to his classy shop on the Paris end of Fitzroy Street. Think French street signs and Cire Trudon candles. And don’t worry if you can’t resist one of Scout’s custom-built signature beds – they deliver Australia wide. 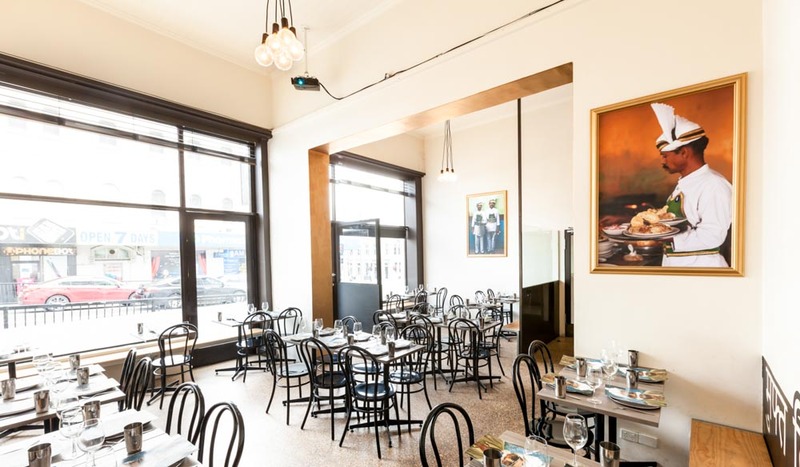 Miss Jackson might be tucked away in its namesake side street, but it’s no secret. 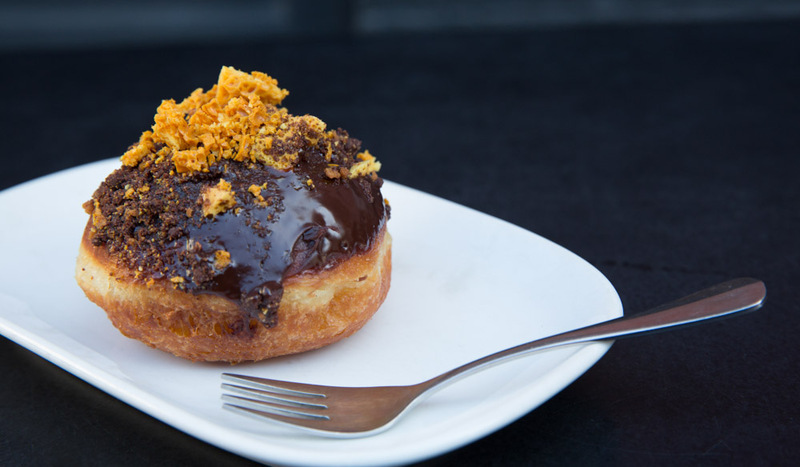 On weekends expect to queue, not only for the best breakfast around, but also to secure one of owner Steve Nicoloss’s drool-worthy designer doughnuts. Don’t be fooled by the plain walls – the food is anything but. Everything is made in-house (even the honeycomb butter) and the menu flows with the seasons. 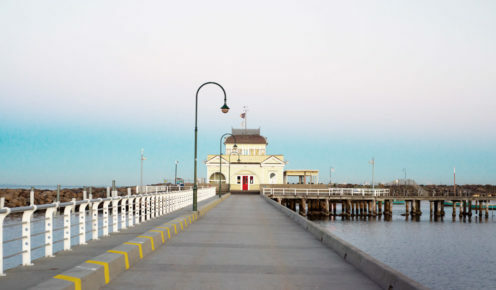 Fancy gazing out to sea at St Kilda’s newest hangout? Grab a spot at Pontoon’s 18-metre-long bar. Designed to ‘bring the beach’ into the room, Pontoon is part of the rebuilt Stokehouse Precinct, which burnt down in 2014. It’s sleek yet casual with 18 beers on tap, rosé slushies and creative bar snacks from the chargrill. At around ‘milking time’ – that’s 4pm not 4am – you’ll find this European-esque fromagerie absolutely jumping (but not with cows over the moon). 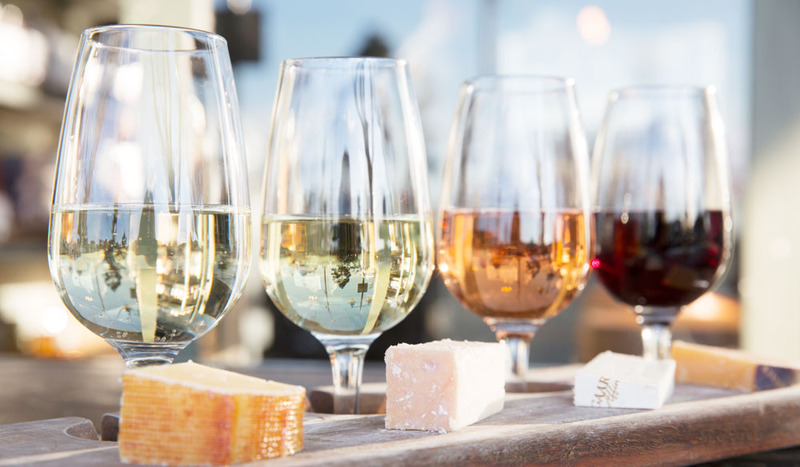 Indulging in a flight of wine and cheese is the St Kilda way of topping off a great day or the start of a big night. Catch a show from comedy to drama, watch dance or attend a film festival at this buzzy new arts space. Promenading the kilometre-long St Kilda pier is about as ‘Melbourne’ as it gets. Fortunately, the historic kiosk at the end of the pier was rebuilt to the original Victorian plans after being destroyed by fire in 2003. The cafe is great for soaking up views of Melbourne, but there’s more. Like many things in St Kilda, a surprise beckons beyond the kiosk: penguins. Hundreds of them. Come dusk the aptly named little penguins waddle into their burrows between the rocks. A pathway and small jetty along the breakwater makes for easy (and free) viewing. Volunteers from Earthcare St Kilda are on hand and if you’re lucky you might catch them doing their regular penguin health checks.